•Ny utviklet fra Road Racing aktiviteter. •Forbedret allsidighet / arbeids temperatur. 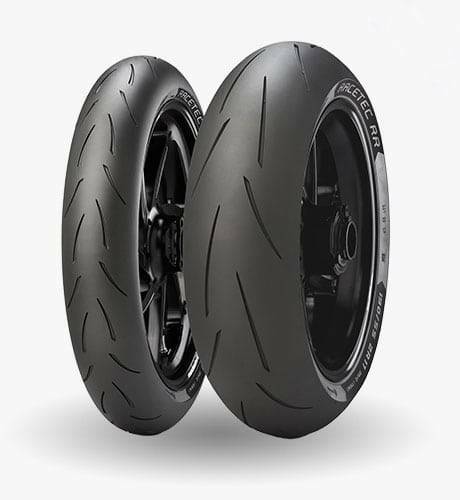 RACETEC™ RR IS THE TYRE WINNER OF 2014 SUPERSPORT TT ISLE OF MAN TOURIST TROPHY. Road Races are one of the most difficult and challenging racing activities, due to the combination of circuit length, speed, altitude, temperature variation and variety of tarmac. 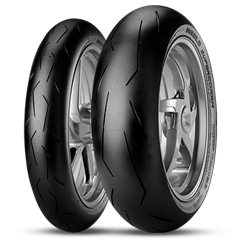 Thanks to new solutions in terms of compound materials and mixing, paired with the new profiles, RACETEC™ RR SLICK is capable of delivering its high performance for longer than ever, even after the first thermic cycle is over.